Just snap the stick and shake it up for a cool light source that lasts up to twelve hours! 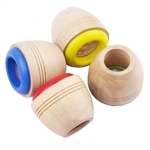 Great for parties, dances, concerts, campouts and more. Color is orange. Write in invisible ink and then read your words secretly! The Ghost Writer has an invisible ink pen and built in UV (blacklight) flashlight that lets you read the words on the page. It also has a regular pen for normal writing. Punch, punch, punch! How many times can you punch these light-up balloons? These classic balloons inflate to 16" and are available in assorted colors. 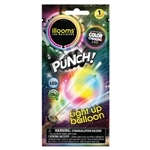 Each pack includes 1 color changing LED punch balloon. Balloon light lasts up to 15 hours.